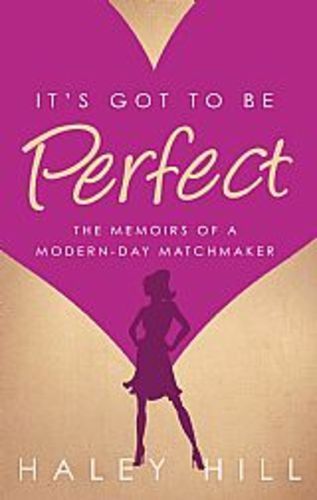 'It's Got to Be Perfect' is a hilarious novel inspired by the author's six years as a matchmaker in London, and published by Matador. "Finalist -Readers' Favourite Book Awards"
"Finalist -Best Dating Book - 2013"
"Made in Chelsea meets The Only Way is Essex, throw in a determined matchmaker and your sides will be splitting." Release date: National Dating Day, 24th Sept. Imagine personally interviewing thousands of singles? Imagine setting up and running the UK's biggest matchmaking agency? Well, Haley Hill has done just that. And what better fodder for a novel? 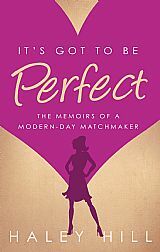 What blogger reviewers are calling, this year's most eagerly awaited chick-lit novel, 'It's Got to Be Perfect,' has already sold hundreds of pre-order copies.